Indoor activities…becoming more and more of a necessity. L loves watching Elmo, but we really want to do more with her than just sing the Elmo song over and over. 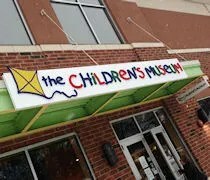 On our latest trip home, we decided to finally check out the Children’s Museum in Oak Lawn. We’re usually at NaNa’s on Monday’s, but we had an extra long weekend which allowed us to spend more time with each of the grandparents. 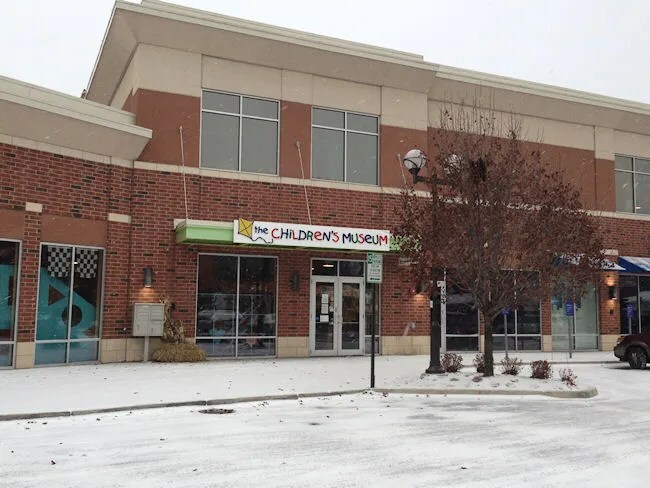 The Children’s Museum in Oak Lawn is on 95th Street in downtown Oak Lawn, but you’ll never figure out how to get in to it from there. Heck, my Mother-In-Law lives in Oak Lawn and we still had a hard time figuring out how to get to the parking structure. The one-way direction of the road leading to it changes depending on what time of day it is. You need to get in to the lot from 52nd Avenue. They make it sound so easy on their website, but I think I went the wrong way down a one-way and parked in a 30-minute spot for longer and got lucky I wasn’t ticketed. There’s not much of a lobby when you walk in the door. There’s a little counter and a small store right inside that opens up right in to the first of two floors of exhibits. L was ready to take off as soon as we got in the door. Na Na took care of the $34 admission while J and and I got L’s coat off and hung up. Of course, the first thing L noticed was the slide in the Move It! exhibit. She went down a few times, but was having problems with her boots sticking, so she gave up and started looking around for more things to play with. She spotted a police car near the back of the space and that’s where she headed. She’s real big on “car rides” and played around the police cars and fire trucks all day. There’s a small water table tucked in to a space near the stairs, but J wasn’t super interested. Kids can fish with magnetic poles, and while she didn’t really have an issue making it work, she wasn’t really interested. She just wanted to head up stairs. The second floor is where most of the exhibits are. There’s a really cool grocery store area that has a ice cream “store” next to it. 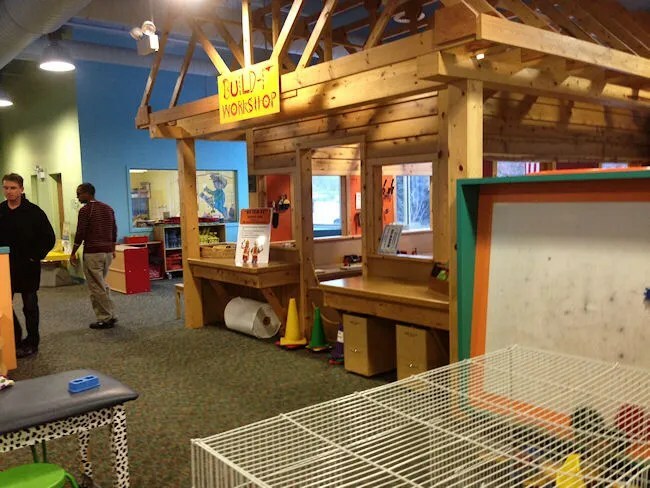 There’s a really neat “Build It!” exhibit where kids can use real tools to make things (this is only open with staff supervision). Neither of those caught L’s attention right away. Again, she went straight for the slide. 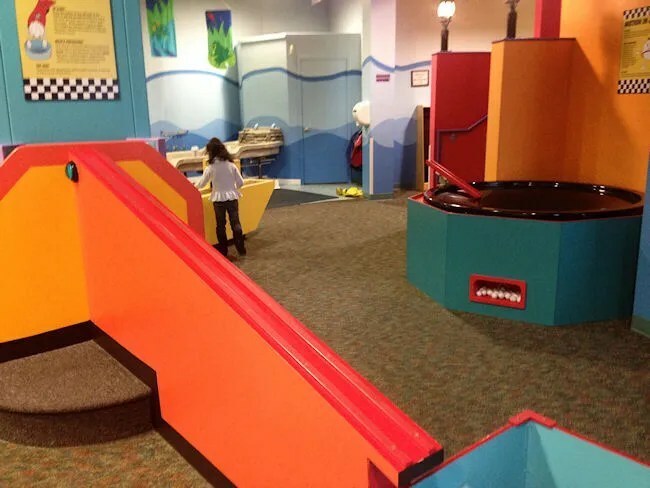 Near the back of the second floor is a big area for the kids to climb on. L went right up and found a big drum. This was kind of a point of trouble because L wasn’t in the sharing mood and any time another kid came toward it, she would either hog the drumstick or try to take it from them. We’re working on sharing…. Just like downstairs, there was an emergency vehicle upstairs and L spent a lot of time playing firefighter. She wouldn’t put on the little turnout coats or play with the water canon (not operational), but she loved pretending to drive that fire truck. We kept trying to keep her moving and check out some of the other exhibits, but the fire truck and the slide/drum were by far her favorite. 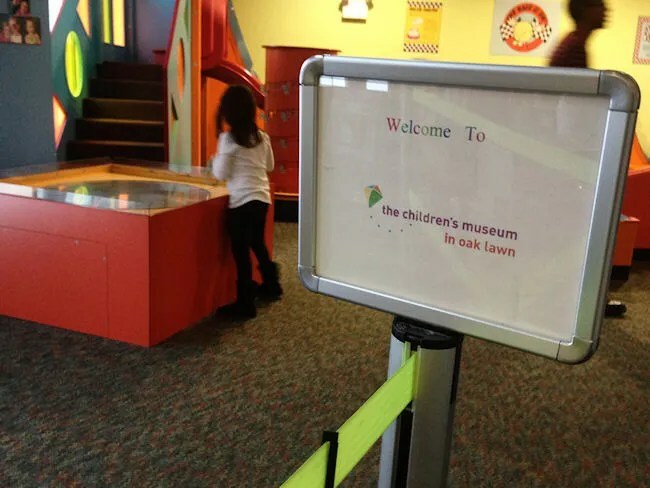 The Children’s Museum in Oak Lawn isn’t as big as some of the other similar museums we’ve been to…and much smaller than the DuPage Children’s Museum in Naperville. Still, L had fun and it’s a great to get her out around other kids.